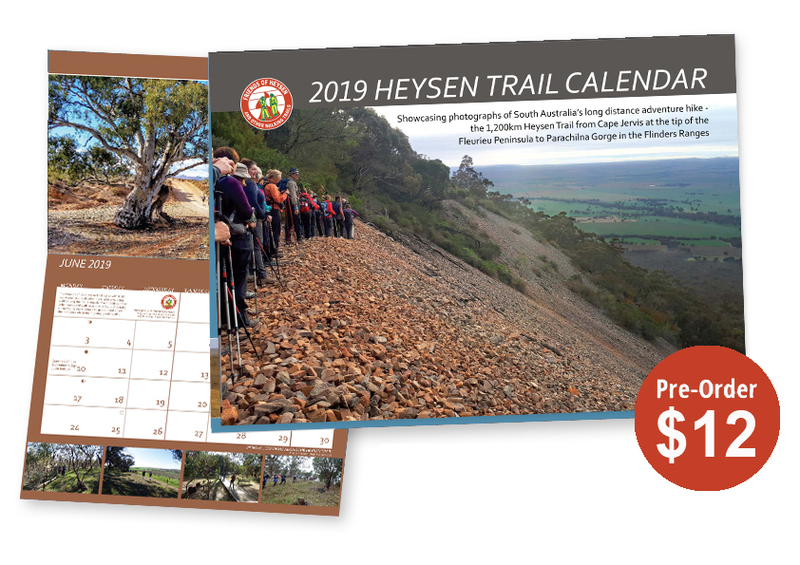 Order your Friends of the Heysen Trail 2019 calendar. 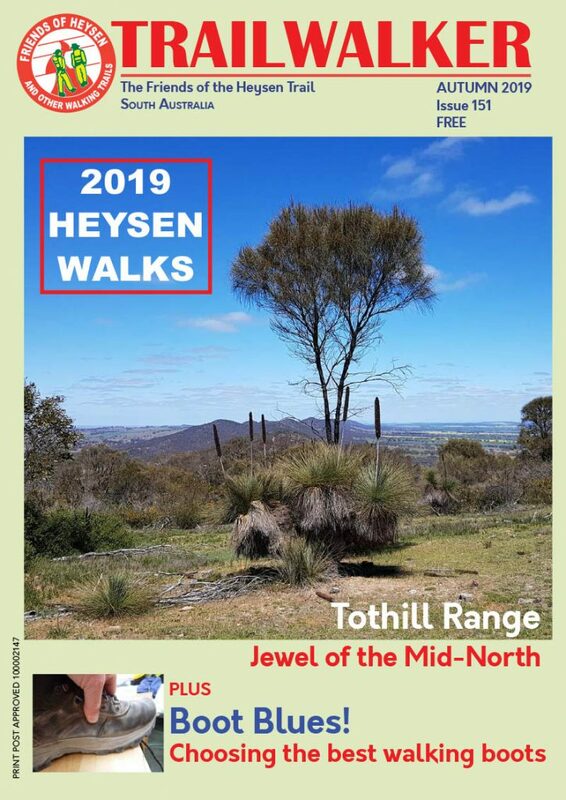 The Friends of the Heysen Trail 2019 calendar is currently being printed and will be available later this week. Order your copy now – we’ve slashed the ‘early bird’ order price. Make sure you order your copies of the 2019 calendar before December 1 to qualify for the discounted price of $12.00. Get one for your wall at home or work or buy some as Christmas gifts for family and friends. We expect to have copies available for delivery later this week. Order from our On-line shop for delivery by post. By ordering the calendar from our On-line shop you can request postage to an address in Australia or overseas. Postage charges to any address within Australia (for a single copy) will be an additional $4.50. Pick your copy from our Office or at the End of Year Bash. You can also order the calendar for pick up from the Office. Contact us either by phone or email. If you can get into the office you can take delivery yourself. Alternatively, we will have the calendar available for pick up at our End of Year Bash at Belair National Park on Sunday December 2. However, if you can’t pick up the calendar, the Office volunteers can also arrange to have it posted.